HEART disease is the single leading cause of death in Australia. 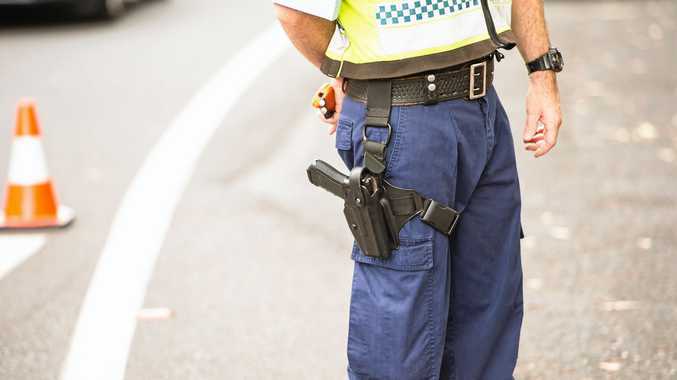 According to the Heart Foundation, it claims the lives of one Australian every 27 minutes - so it's important to take steps to look after your heart. But, short of specialist scans, we can't see how our heart is beating in our chest. That's why it's important to know the unusual signs of heart disease, explains Adam Taylor, director of the clinical anatomy learning centre at Lancaster University. Here's six surprising signs you could have heart disease. One external indicator is diagonal creases on the earlobes - known as Frank's sign, named after Sanders Frank, an American doctor who first described the sign. It is not clear what the cause of the association is, but some have postulated that it is to do with a shared embryological origin. Most recently, it has been seen that these creases are also implicated in cerebrovascular disease - disease of the blood vessels in the brain. Another external indicator of heart issues is yellow, fatty bumps - known clinically as xanthomas - that can appear on the elbows, knees, buttocks or eyelids. The bumps themselves are harmless, but they can be a sign of bigger problems. Xanthomas are most commonly seen in people with a genetic disease called familial hypercholesterolaemia. People with this condition have exceptionally high levels of low-density lipoprotein cholesterol - so-called bad cholesterol. The levels of this cholesterol are so high they become deposited in the skin. Unfortunately, these fatty deposits are also laid down in arteries that supply the heart. This is where the fingernails change shape, becoming thicker and wider, due to more tissue being produced. The change is usually painless and happens on both hands. 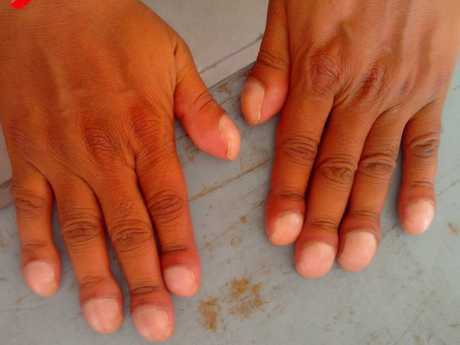 Clubbing of the fingers is the oldest known medical symptom. It was first described by Hippocrates in the fifth-century BC. This is why clubbed fingers are sometimes known as Hippocratic fingers. 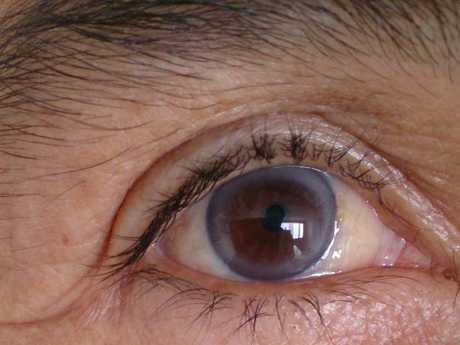 This is called arcus senilis and starts at the top and bottom of the iris before progressing to form a complete ring. It doesn't interfere with vision. About 45 per cent of people over the age of 40 have this fatty halo around their iris, rising to about 70 per cent of people over the age of 60. The presence of this fatty ring has been shown to be associated with some of the risk factors for coronary heart disease. The mouth is full of bacteria, both good and bad. The bad bacteria can enter the bloodstream from the mouth and cause inflammation in the blood vessels, which can lead to cardiovascular disease. Of course, people also get blue lips if they are extremely cold or have been at a high altitude. In this case, blue lips are probably just due to a temporary lack of oxygen and will resolve quite quickly. In fact, the other five symptoms - mentioned above - can also have a benign cause. But if you are worried or in doubt, you should contact your GP or other healthcare professional for an expert opinion.